Second plays fifth when Leeds United make the trip to the Riverside to face Tony Pulis’ Middlesbrough, who occupy a play-off place and trail the Whites by seven points in the Championship. The match is of vital importance to Leeds who have lost five times in their last seven fixtures in all competitions, whilst Pulis will be looking for a reaction from his side, following defeat to Newport County in the FA Cup 4th round replay midweek. 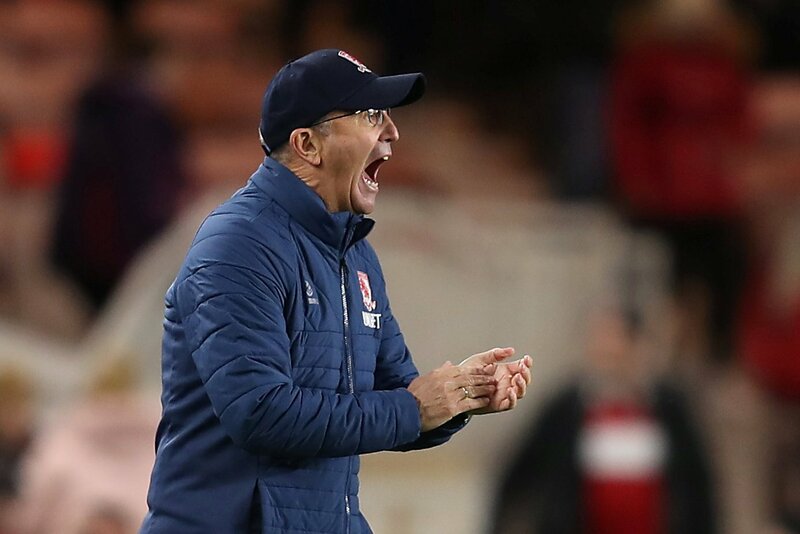 But with Pulis’ position in question by certain sections of the Boro support, should he be sacked if they lose to Leeds this weekend? “It’s far too early for that. “Pulis hasn’t been the best appointment I’ll admit but he oversaw an impressive win over West Brom last weekend. “It would be pointless now. “He clearly does not have a long term future at the club but he should have until the end of the season. “It would increase the pressure on him without a doubt. “They would still be in the play-offs but the fans would still be far from happy. “I would usually say no, but I don’t like what he’s done to Boro. “He’s stifled their exciting players and tried to recreate Stoke at the Riverside. “It hasn’t worked. To think, they got rid of Monk for doing pretty much exactly what Pulis has done.